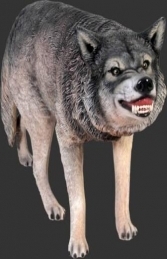 This free standing Classic Grey Wolf is a super model to add to any Native American or North American themed area, you could link this into a scary Halloween Scene. It will give that stunning finishing touch. 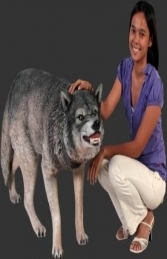 This fabulous new model of a Grey Wolf will be a super addition to any forest or wild-west themed area...or even in a horror theme area. 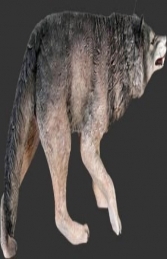 The wolf is positioned in hunting mode showing its razor sharp teeth. This model is ideal for all businesses, pubs, restaurants, coffee shops, adventure golf courses, children’s farms, zoo’s, theme parks etc or this would even look fabulous in your own home or garden.